Robb Skidmore writes stories that entertain and inspire. His contemporary upmarket fiction (in between commercial and literary) takes a love of language and uses it to create richly original characters and intense, moving plots. 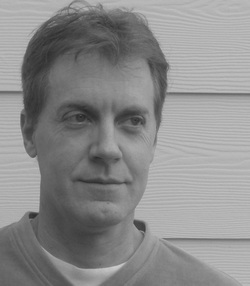 If you enjoy writers like Nick Hornby, Suzanne Collins, Michael Chabon, Chuck Palahniuk, Alice Sebold, Nicholas Sparks, or Audrey Niffenegger, then you might want to check out Robb Skidmore's work. He grew up in Charleston, S.C. and graduated with various degrees from Emory University. He has traveled to many far flung parts of the globe and once spent a year camping in national parks and traveling across America. His short stories have appeared in New Orleans Review, New Millennium Writings, South Carolina Review, Oasis, and Twelve Stories. The Surfer, his ebook novella, can be found on Amazon. His nonfiction has appeared in the Atlanta Journal-Constitution. He lives with his wife and cat in Atlanta. You might find Robb drinking kombucha tea, listening to music on his iPod, blogging on his website at robbskidmore.com, or staring at the sky with great wonder and appreciation. "...An excellent job of taking a character and creating his time and place perfectly. A totally enjoyable flashback ride.."
"A great debut, and I can't wait to read more from Robb Skidmore." Currently a Quarter Finalist in the Amazon Breakthrough Novel Contest. A novel that uniquely captures the 1980s, The Pursuit of Cool tells the story of Lance Rally and his turbulent college years. He comes from a super-achieving family and is intent on being a big success. But he is also an inept, hopeless romantic, obsessed with pop culture, and prone to distraction. Friendships with a punk rocker and a subversive scholar challenge his worldview, and relationships with a beautiful psych major and a feisty goth girl shape and change him. This coming-of-age journey is a funny and emotional ride through album covers, dance techniques, all-nighter revelations, and corporate internships gone bad. The story comes alive with music and movies which give Lance solace as he questions his beliefs and his heart gets crushed. He tries to capture that illusive quality, that magic of youth, the essence that is "cool." A micro-novella of psychological suspense. Walter's life falls apart after his family perishes in a plane crash, leaving him isolated and volatile. He becomes fixated with surfing, and flies to the Big Island in a last ditch effort to overcome despair about life. His surfing leads to a near death experience. A vacationing couple then befriends him and takes him on an adventure. The Surfer is a journey into the imperfection of one man's soul. 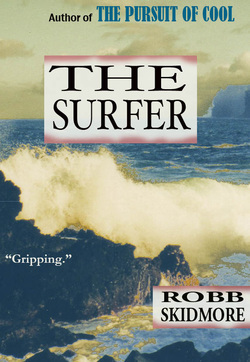 It explores the beauty and unpredictability of nature, and of life, and the strange lure of surf.